What is more memorable than a child first learning to tie his shoes? Or wrapping his first Christmas presents? Knots aren't easy to learn, but they are very helpful—whether you are five years old, ten years old, or even fifty years old. 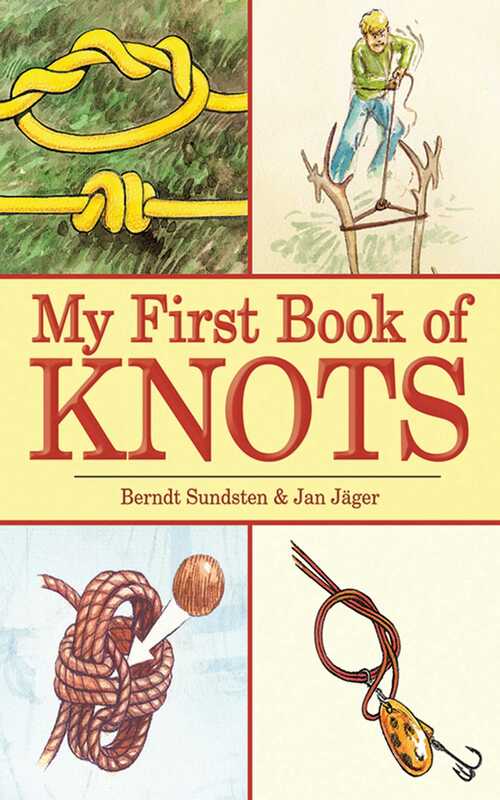 Here is a children's picture book that will help parent and child learn together by simplifying the craft and bringing the reader into the world of knots through beautiful, detailed illustrations. My First Book of Knots is a landmark gift that will impact children (and craft-loving adults) with hours of fun and a lifetime of skills. Create memories and embark on the journey of knot tying together. In My First Book of Knots, you'll learn how to tie knots you can use in fishing, camping, ranching, farming, and more. You'll learn how Santa Claus ties up his sack full of presents and how to tie a knot that will make it easy to carry heavy objects. Every step of each knot is drawn out for you and includes clearly written instructions. After you read this book, you can save the day with a square knot and wow your friends with a double figure eight bend.